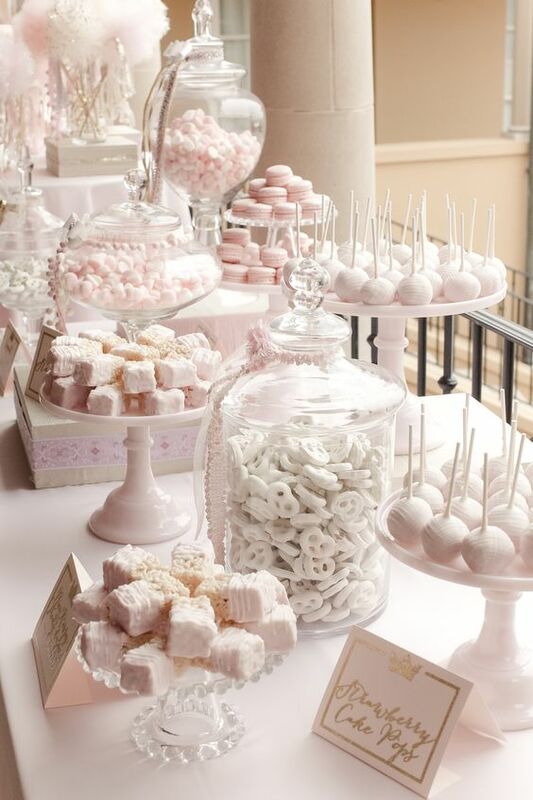 Food Stations have taken over the culinary world in terms of weddings. They are a great way to get your guests to interact during the wedding. It is also a great way to have a little fun and use some creativity! 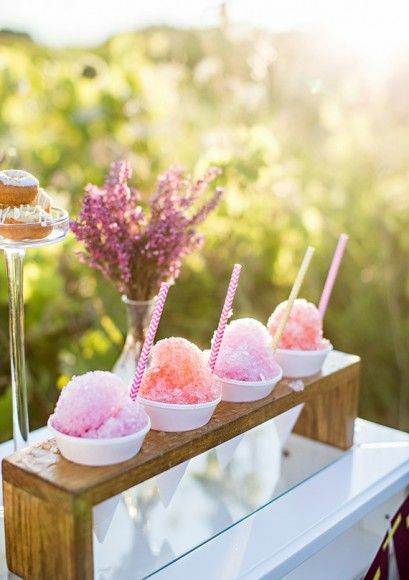 This Snow Cone Station is one of our favourites! This fun station allows you to pick any flavours you want! This also gives you the chance to implement the colours of your wedding! Who doesn’t love tacos? 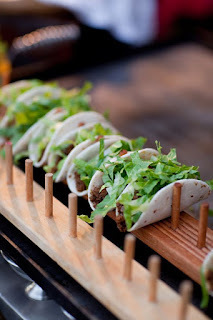 Add a taco station at your reception to get the party started! Giving a lot of options for toppings will be sure to give your guests an experience to remember! Mimosas are great for a morning ceremony and reception! 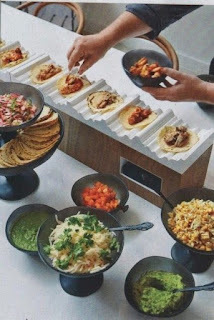 Why not have your guests make their own! 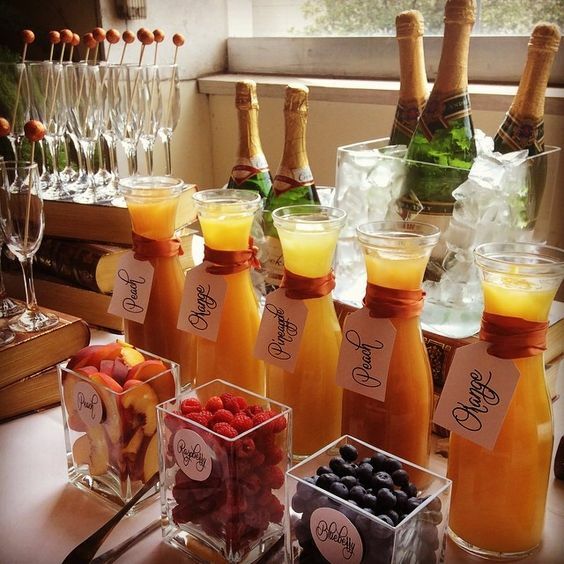 A variety of juices, champagnes and fruits will make your guests excited for an adventure! Now for the classic candy bar! This was one of the first ideas used for interactive activities at events! 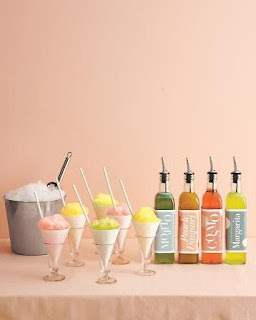 It gives you the opportunity to showcase your wedding colours and works as a favour all at the same time! 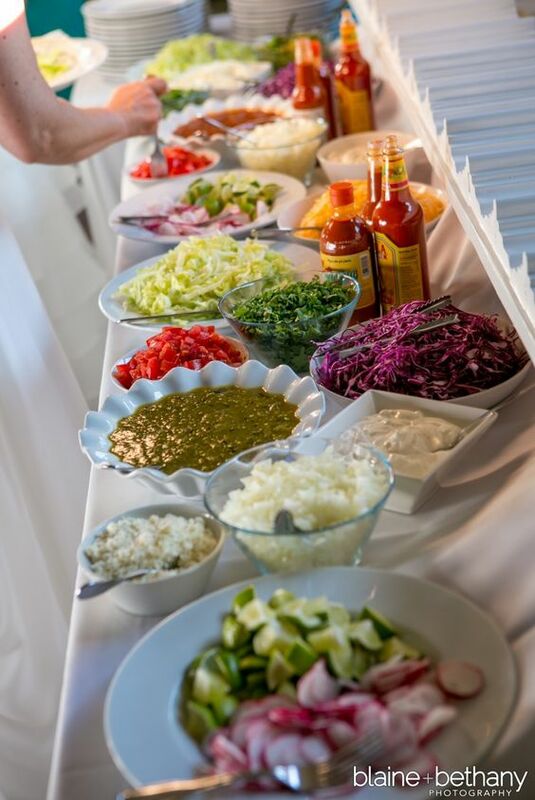 Food stations allow you to be as creative as you want! 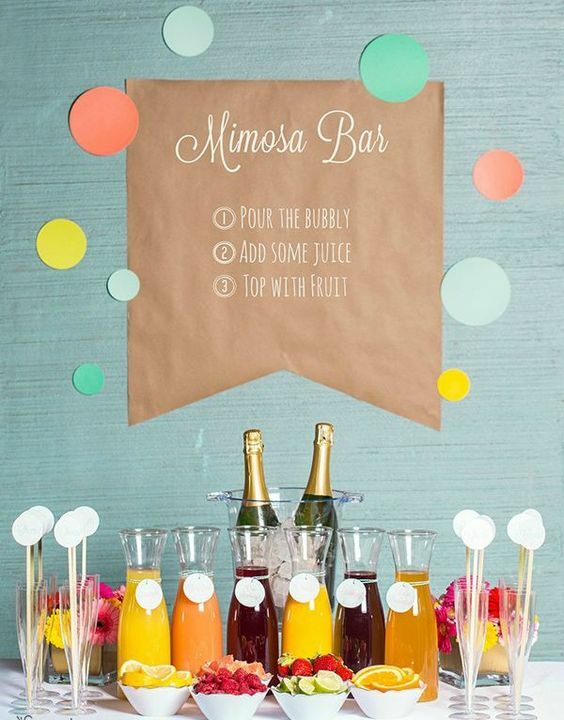 Drinks, Breakfast, Lunch or Dinner food stations can be placed anywhere! Your guest will love it and so will you! 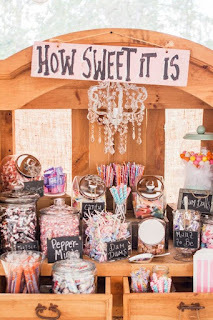 Talk to your planner to see just how you can incorporate a food station into your wedding!